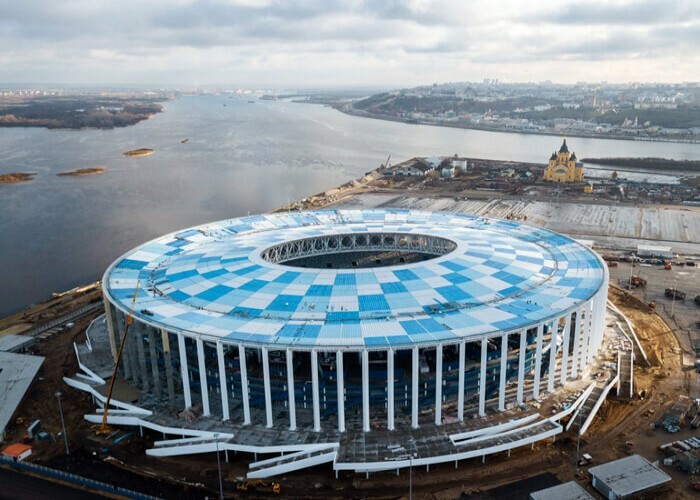 The stadium is specifically built to host the FIFA World Cup of 2018 and its design is inspired by the natural view of the Volga region. 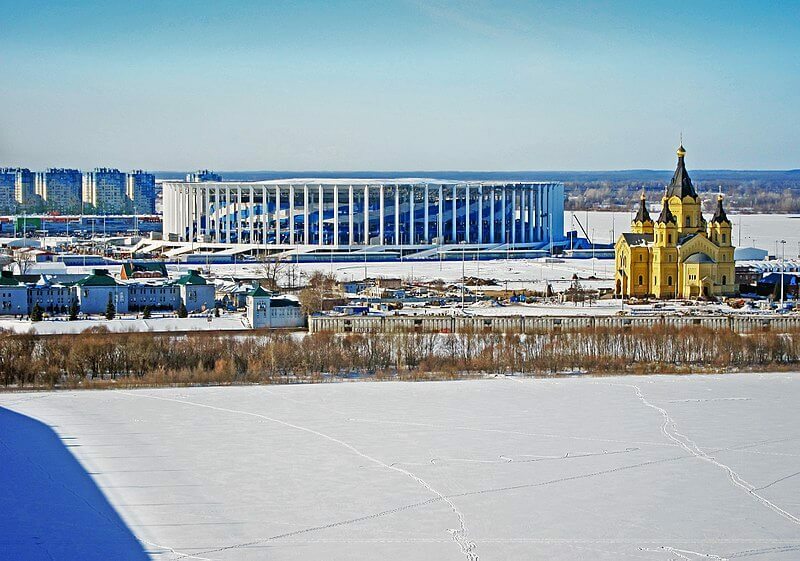 Built at the conflux of two major rivers: the Volga and the Oka, this stadium is located in the historic area, known as the Spit. 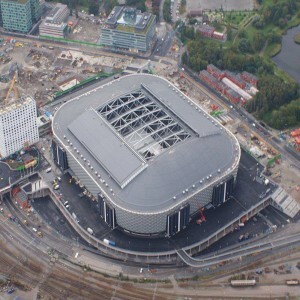 The roof of the stadium is made of metal, weighing 11,000 tons that provides a massive look to the stadium. 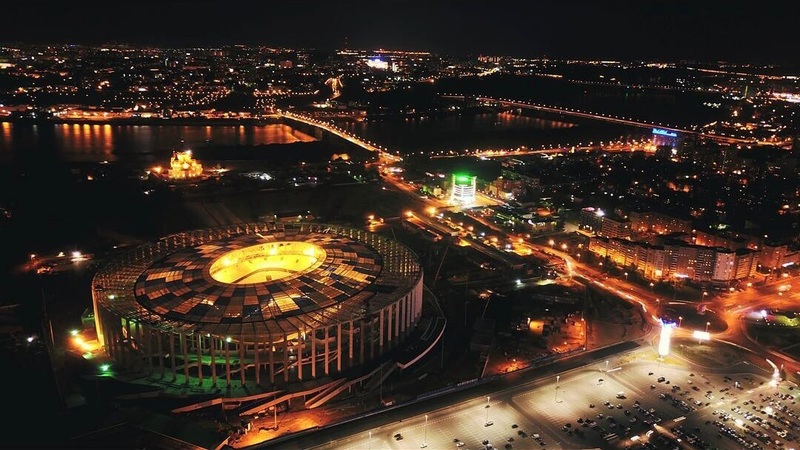 The outer part of the stadium has white colonnade belting that illuminates at night and gives a beautiful look to the stadium. 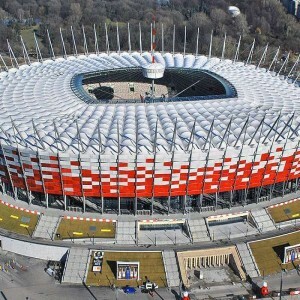 The stadium has a circular shape, having white colonnades at the outer side that covers the stand and the lobby of the arena. 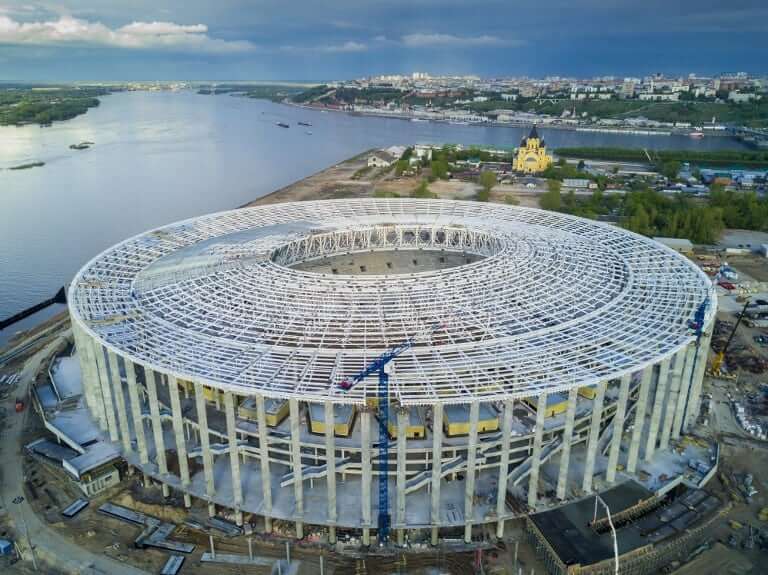 The stadium will include a park, futsal fields, tennis courts and parking lots for visitors post FIFA World Cup matches. 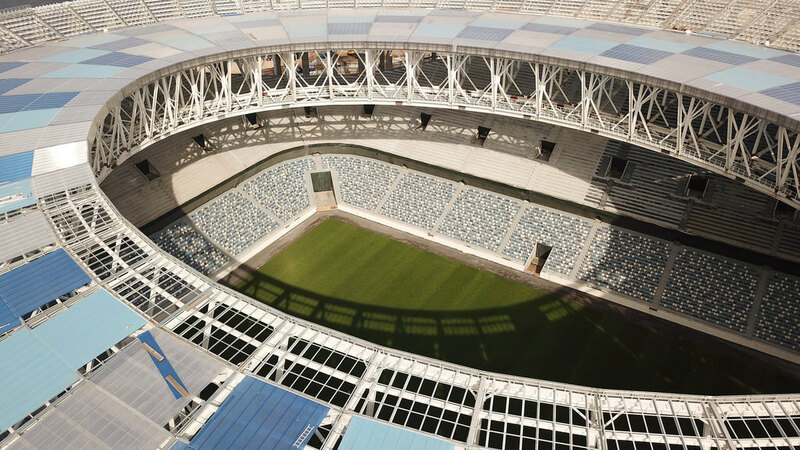 The stadium has total 5 levels: three main and two mezzanine levels. 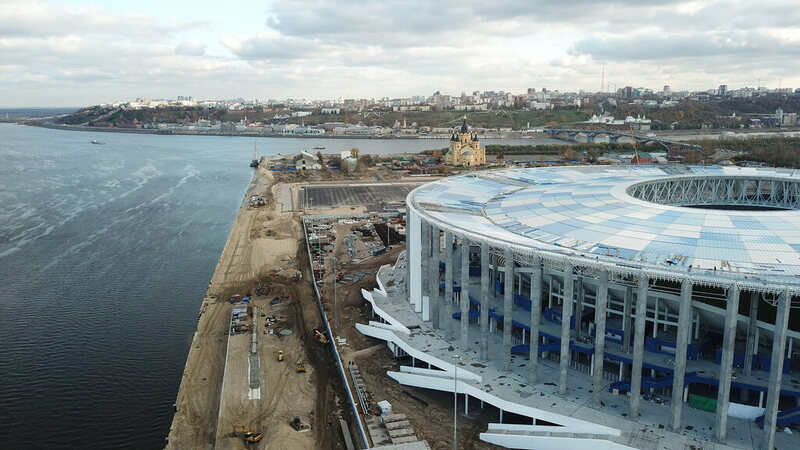 After hosting the FIFA World Cup matches, the arena will open its gate for the native football team FC Olimpiyets Nizhny Novgorod of Russian Football Premier League. 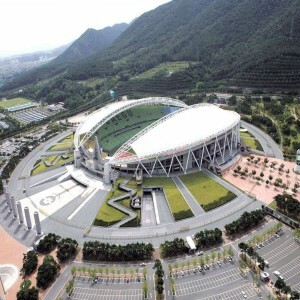 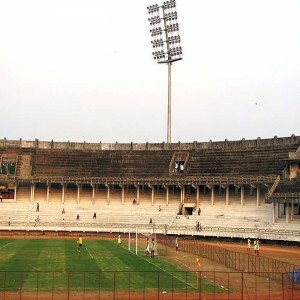 The arena of the stadium has been designed in a way that it can serve as a venue for shows, concerts, and other cultural and entertainment events. 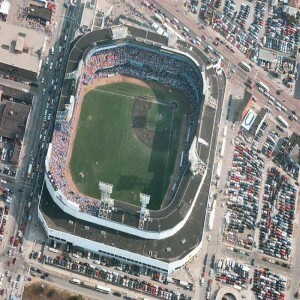 It also provides areas for exhibitions and expos.